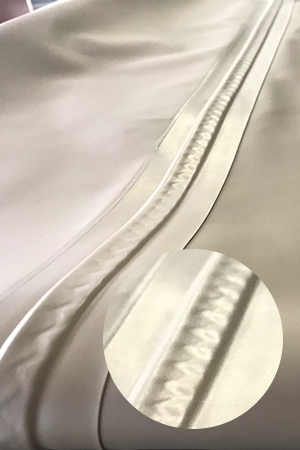 All our fabrics are pre-treated with a water repellent, anti microbial agent and a Teflon finish to ensure longevity of your tent. All our seams are stitched and welded to ensure a 100% waterproof product. 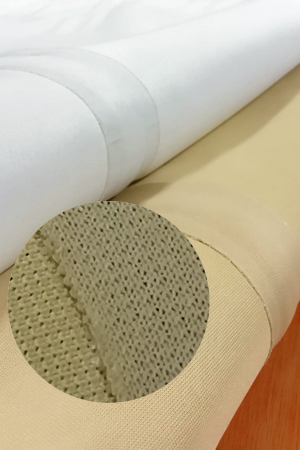 DTS FR Premium fabric complies with the international fire retardant standards: B1 / M2 / CFM / BS. 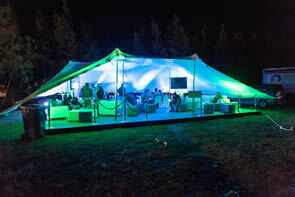 Tents vary in size from as little as 54 m² to 600 m². Available as mere shade structures or 100% waterproof tents. Easy to contruct, easy to store. 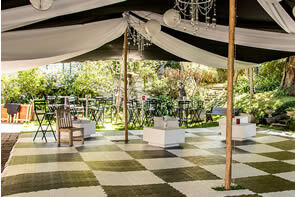 Use them for events, weddings, corporate functions or festivals. 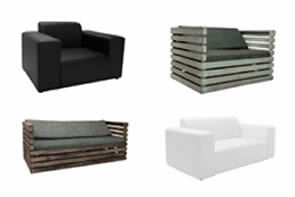 The most popular colours are beige, platinum grey, white, and red. When ordering a tent from us, we provide a rigging team to instruct your staff in its usage, care and maintenance.